An enterprising Galwaywoman and former journalist has decided to capitalise on the US trend of families attending a pumpkin patch to handpick their pumpkin at Halloween by setting up a pumpkin patch at her family farm in Ardrahan, in south Galway. Galway Pumpkin Patch will open to the public on Sunday October 21 and over the Saturday and Sunday of October Bank Holiday Weekend (27/28 ). Adults and children can go along for a fun Halloween-themed day out, which includes much more than just pumpkin picking. There will be lots of decorations, fancy dress, games, and face painting. Tea, coffee and spooky treats will also be available on site between 10am and 4.30pm. 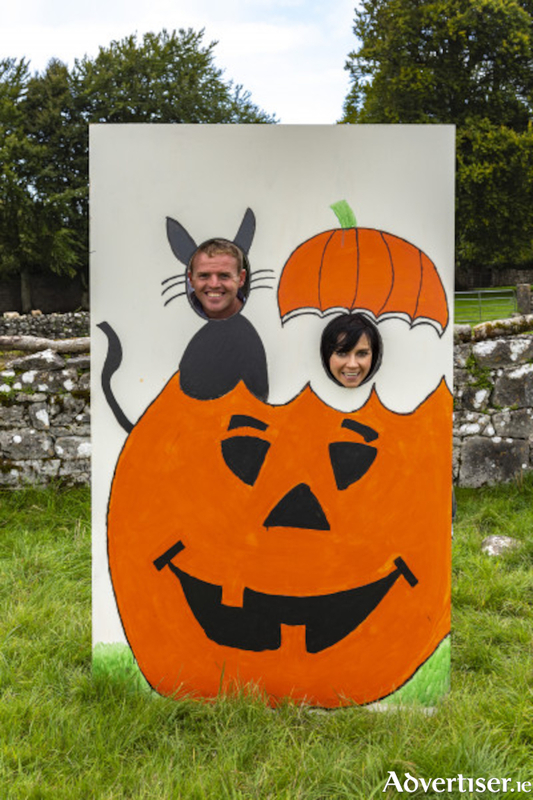 Galway Pumpkin Patch is the brainchild of Ardrahan native Caroline Whelan and her fiance Gerry Quinn. The patch is located on Ms Whelan’s family farm at Castletaylor Demense in Ardrahan. This is the first time the historic estate will be opened up to the public. A pumpkin patch was the perfect initiative for this enterprising couple, as Ms Whelan’s fiance Gerry Quinn is involved in his family’s fruit and veg business, and has been growing pumpkins for many years. The Ardrahan woman who is a substitute teacher has launched Galway Pumpkin Patch on social media with Facebook and Instagram pages and says the reaction has been incredible. “We have been blown away by the response to it so far. People seem to love the idea and there are lots of tickets sold. I have been sharing some pics of the decorations and the preperation - growing the pumpkins etc, and I think people like the idea of authenticity. Ms Whelan explains that she is has three sisters, and that none of whom caught the livestock farming bug, but are determined to continue farming in some shape or form. All details about Galway Pumpkin Patch can be found on its Facebook and Instagram pages. Tickets for the event can be purchased on https://www.eventbrite.ie/e/galway-pumpkin-patch-tickets-50300218307 =. Queries can be sent to the event’s social media pages or to [email protected].